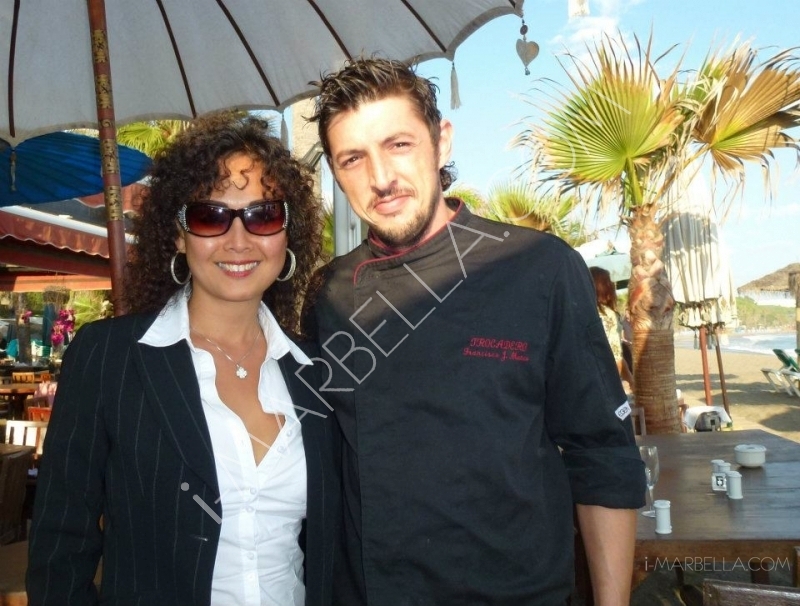 i-Marbella continues with the food column by Xusan Teo from Casa Marbella! Believe it or not, 1st day of November - 24 degrees and a blue sky! 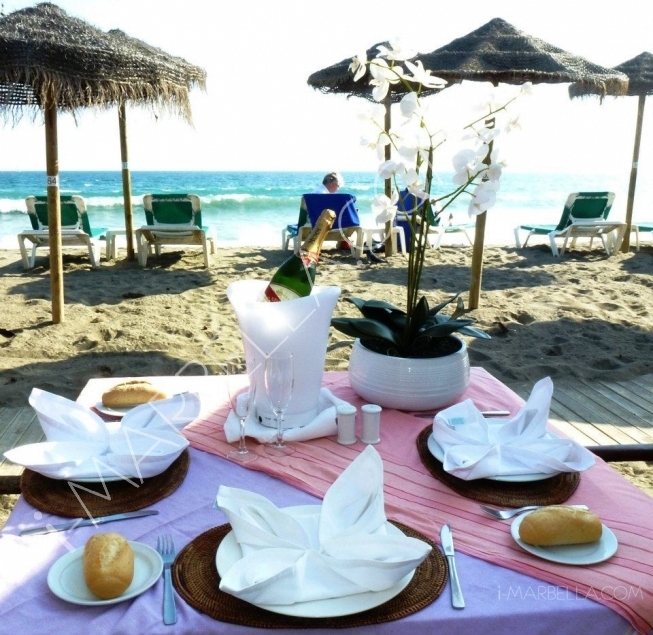 It was a perfect day to have a lovely lunch on the beach, so where else to go but the long established Trocadero in Marbella. I had Wolfgang Schlesier from Casa Marbella and our dear friend John Bhimji with me to enjoy the lunch. When we arrived, we met and chatted with the owner of Trocadero, Dionicio Hernandez Gil, a charming and always smartly dressed gentleman. 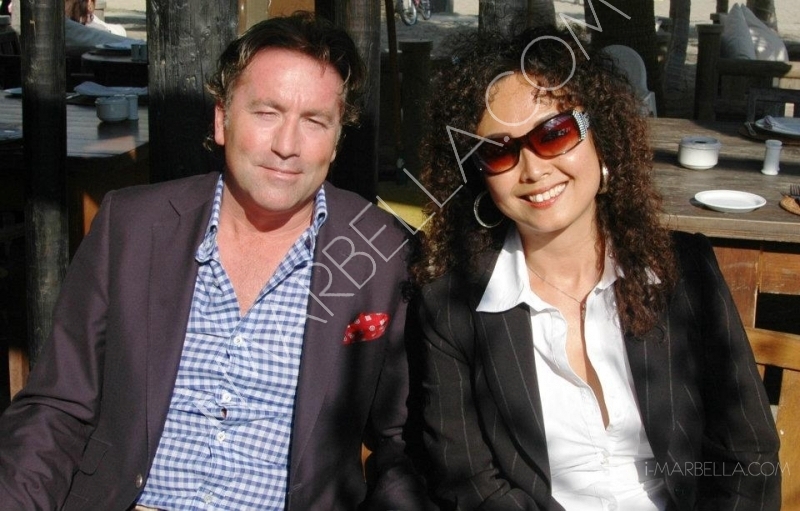 A few tables away sat our Mayoress, Angeles Munoz, enjoying her lunch with her company of friends. We had a front table with the perfect view to the sea, and we kept telling ourselves how lucky we were living in the beautiful sunny Marbella. We started off with a nice bottle of champagne while studying their extensive menu and listening to the roaring waves in the background. 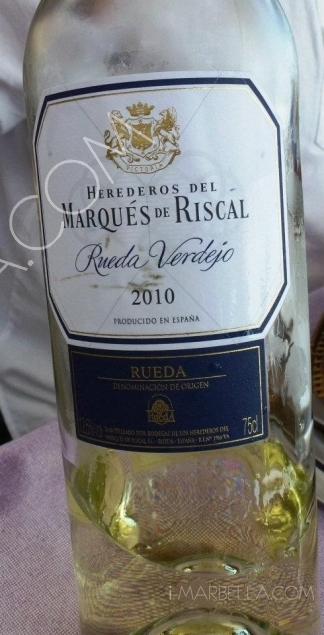 The friendly maître Paco came to greet us and recommend some dishes together with a bottle of Marqués de Riscal, a dry white wine to go with the seafood. We happily agreed! We had a little appetizer, tuna sashimi wrapped with Japanese seaweed, complimentary by the head chef Fernando. 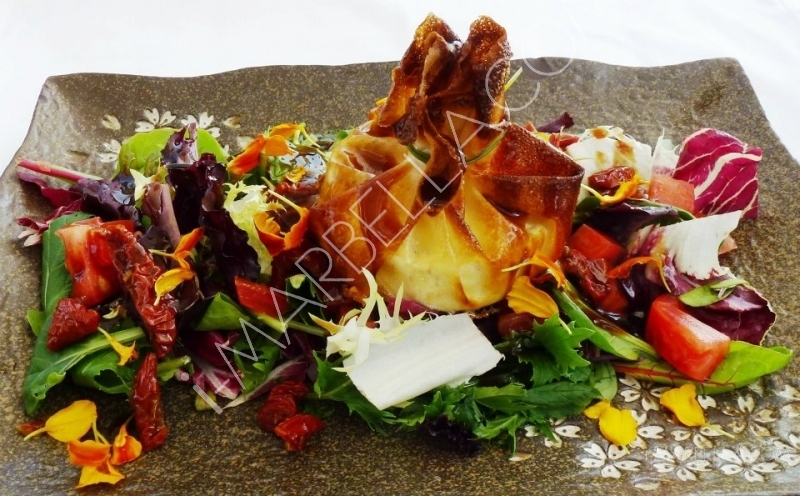 Our starters were a more contemporary Russian Salad with Crabmeat, followed by a salad with nicely melted Goat Cheese wrapped in crispy filo pastry, Muscat dressing and sun-dried tomatoes. In addition, an autumn special, we also had a plate full of Porcini Mushrooms with fried egg. Since we were recommended to try the Blue Lobster, I did and it didn’t disappoint us either. It was perfectly grilled with garlic and parsley and still juicy inside, simple but tasty - that was a treat! Tuna steak came next. It was cooked pink, although I personally would like it a bit more rare in the middle, otherwise it was delicious and beautifully presented. 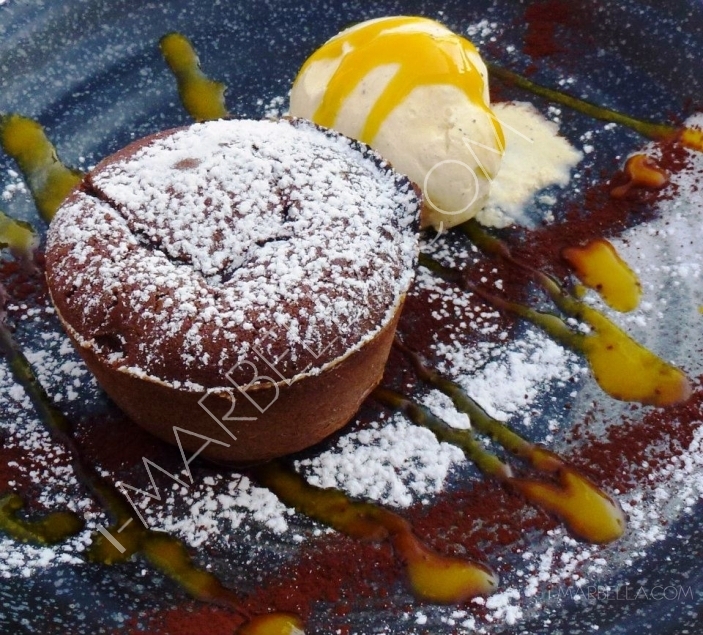 Last but not least, for dessert we have the devilish Brownie with Macedonia nuts and Orange Muslin- mmm…oh well yes, we were in heaven! - I love Goat Cheese Salad but when you find it too heavy to start, you can always skip the cheese and have a salad with semi sun-dried tomatoes, black seedless olives, walnuts and couple of hard boiled quail eggs, topped with concentrated balsamic dressing or a homemade dressing; blend olive oil with lots of fresh basil, pine nuts and parmesan. In addition some salt and pepper of course. 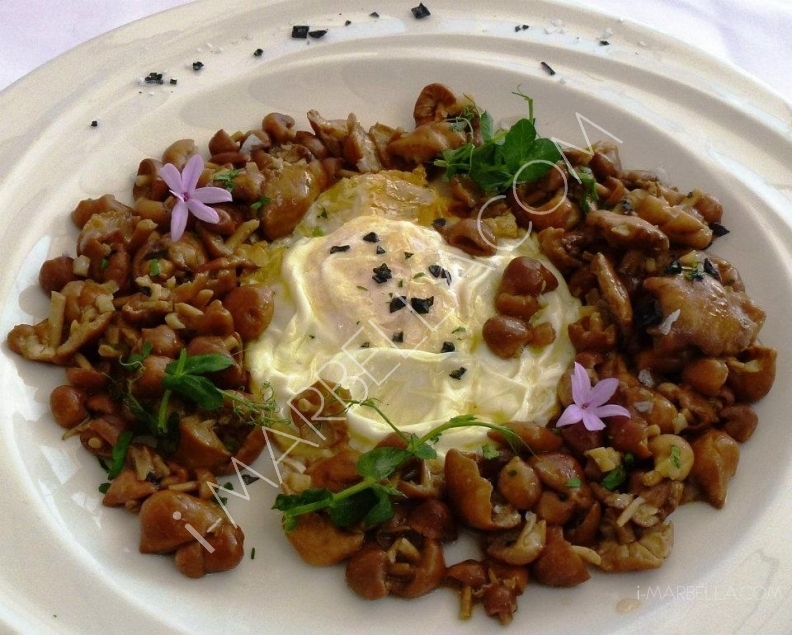 - The Chanterella can also be replaced by a huge Portobello Mushroom and top in the middle with the Fried Egg, served on a bed of Rucola/Baby leaves. If you can sprinkle some Truffle on top, that will make the dish. 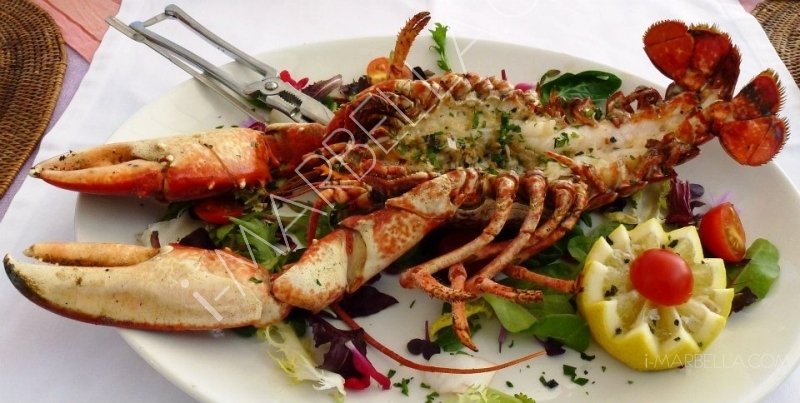 - I doubt many of you will kill a fresh lobster yourself but I did! I cooked the Lobster in boiling water for 5-10 minutes, depending on the sizes, and then served with a béchamel sauce, flavoured with white wine, shallots, mustard and some fresh tarragon! Or cut the Lobster into half, sprinkle a little bit of fresh finely sliced ginger, sesame oil and light soy sauce, garnish it with finely cut spring onions when ready. That is so light and tasty - the Oriental twist! Simple, delicious and beautiful! 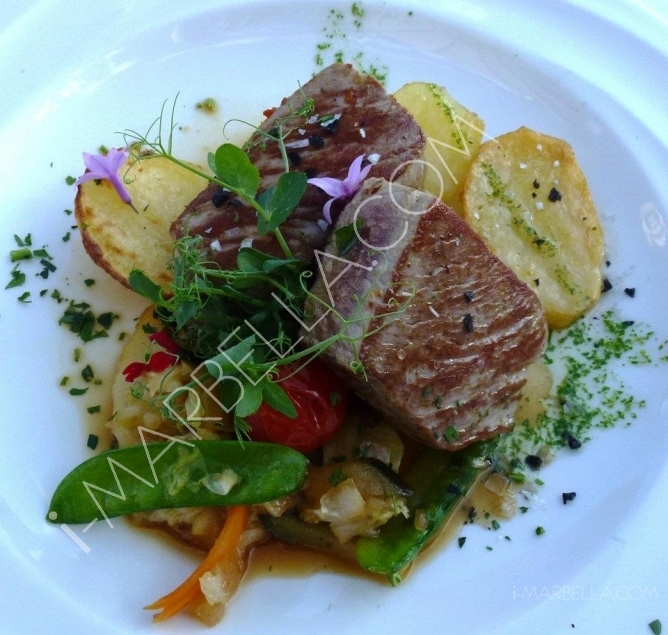 - Tuna steak can be accompanied with rice or pasta, instead of potatoes. As I said earlier, I would have fried/grilled the tuna steak nicely on the outside and leave it a bit raw in the middle, so make sure your Tuna is really fresh! You can served it with a pesto or ginger-soy sauce. - Many of you might know already how to bake brownies, but the trick is to keep the inside moist. 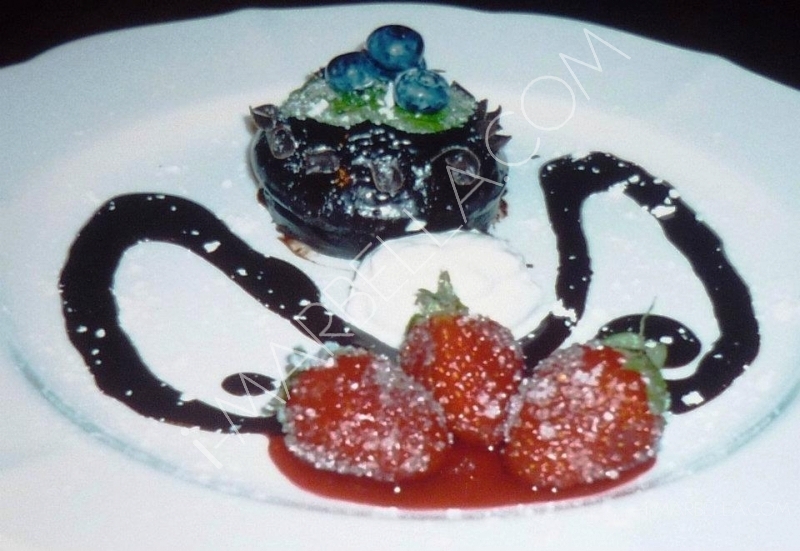 You can see from one of my own Wild Thyme pictures; Brownie with frosted Strawberries, I filled the Brownie with Berries of the Woods and coated with dark Chocolate. Then I sprinkle some caster sugar on top and decorate it with berries and mint leaves. Read Xusan's last column HERE!